Who is Fun, Food & Friendship? 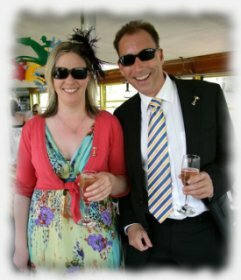 Fun, Food and Friendship is a social and corporate events company based in Melbourne. We organise a wide range of Melbourne events aimed at unifying at unifying teams through increasing social interaction and networking. We can create exclusive events to suit your organisational needs or supplement existing functions with a calendar of hassle-free Melbourne Social Club events whether you have 5, 55 or 555 staff. Our Melbourne corporate membership allows a company to have an extended social events program and access to great city discount benefits in Melbourne. CGU, ABRA, Entity Solutions, KAMCO, RMA, Talent International, Corporate Keys and Chocolatier Australia. We can also run individual corporate and social events in Melbourne such as packages to the Melbourne Spring Carnival races at Flemington. What can our corporate membership include? We are happy to discuss how a corporate membership package can be customised for your needs. It is possible to have a combination of individually tailored packages to suit your requirements for specific teams or departments within a company if required. 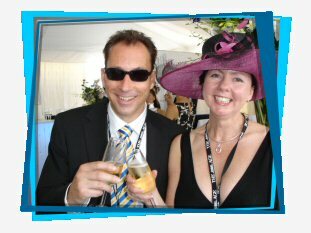 Our Melbourne events can be used reward staff and clients or simply as a team building exercise. An example of events used for this purpose are our all inclusive Melbourne Spring Racing Carnival Cruises on Derby Day, Melbourne Cup and Oaks Day. We have arranged with many companies transfers to Flemington races for the Melbourne Spring Carnival by coach or boat with breakfast included or fully catered packages. "A great time was had by all. All of our clients are wanting to come back next year and through their positive feedback we have more people interested. The food was fantastic, the service was excellent, the dancing on the way back was great fun and the weather turned on a perfect day for us. Thanks again for a very memorable day, for all the right reasons." "It was a pleasure in meeting you & the team and thank you so very much for the organisation of our CGU-Client Oaks Day Carnival Cruise Event today. What a success! We all experienced great customer service, wonderful food and a fantastic time. We look forward to the upcoming events. Thank you again." "We had a great time on the Grape Grazing tour. Thanks so much." "RMA are corporate members of Fun, Food & Friendship whose aim is to promote friendships and networks through the organisation of social events. As an Information Technology Recruitment specialist, a primary objective of our membership is to assist contract staff from interstate or overseas make the transition to a new working environment. Experience tells us that it can be difficult for new arrivals to access the local social scene. As Corporate Members we provide all of our contractors with access to activities and benefits provided by FF&F at discounted corporate rates and we have been very pleased with the range and the quality of the events and services offered." FFF and the Melbourne Social Club is involved as a member of Club 3004. This club started out with "3004 News", a St Kilda Road precinct magazine, designed to strengthen community connections. If you would like to support this community club visit www.club304.com.au. FFF is a proud member of the St Kilda Road Precinct and Promotion Group which supports "Melbourne’s World Famous Boulevard". Membership of this Group helps support planning issues in the area and gives access to the decision makers at the councils of City of Melbourne and City of Port Phillip. It is regarded as an influential voice in planning Melbourne’s destiny. FFF and the award winning Melbourne Social Club likes to support many charitable events and helps raise money through involvement of events and sponsorship. We have helped associations like Cancer Research, Surf Life Saving Club, Spinal Cord Society, POP (Perspective on Parkinson’s), Starlight Foundation, Red Cross, Salvation Army, St John's Ambulance, Plan International and others. Over the 12 years of operation, we have raised thousands of dollars for charity. A recent study in the Journal of Socio-Economics quoted “An increase in the level of social involvements is often worth many tens of thousands of pounds a year in terms of life satisfaction”. We would like to thank our corporate members and guests for supporting Fun, Food and Friendship, a 100% Melbourne owned and operated company that helps Melbourne people enjoy greater life satisfaction and supports the Melbourne community in general.